Later topic: Saw guide? What is it? Hi does anyone know of a mechanic in or near LA to come over and help me fix the rollers, put them on and make the press then work? 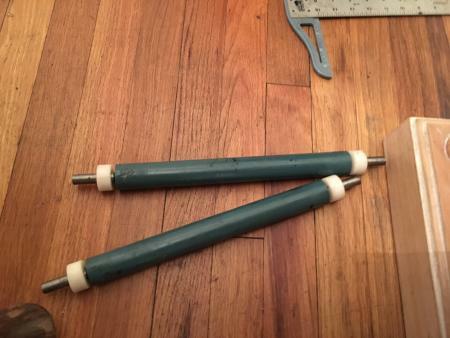 So I can put the rollers on , I just need help with connecting the ink handle to connect. So the rollers go up and down..
First of all, that’s not a Kelsey, it’s a Sigwalt. Sounds like you might have a mechanical problem. 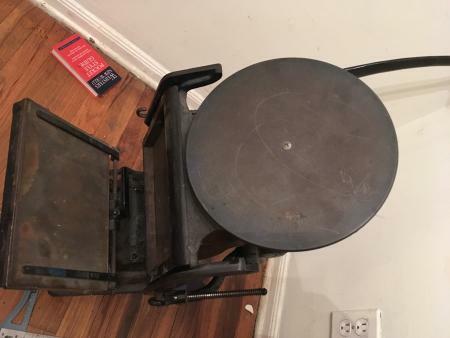 If we could see photos of the back of the press and the left side that might help.